The west end of the Crooked Pint parking lot will be closed beginning today, April 25 (as the graphic below shows). Work in the parking lot will last about 4-6 weeks. The east (Pine Street) entrance will remain open all times. 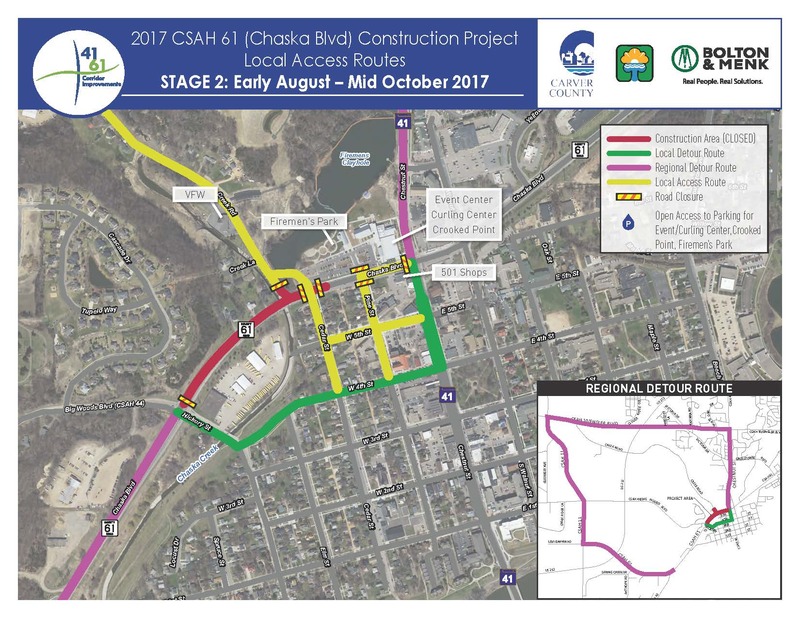 CSAH 61 is not anticipated to be closed, but temporary single-lane closures may occur. The project is planned to reopen on Thursday, November 16, weather permitting. 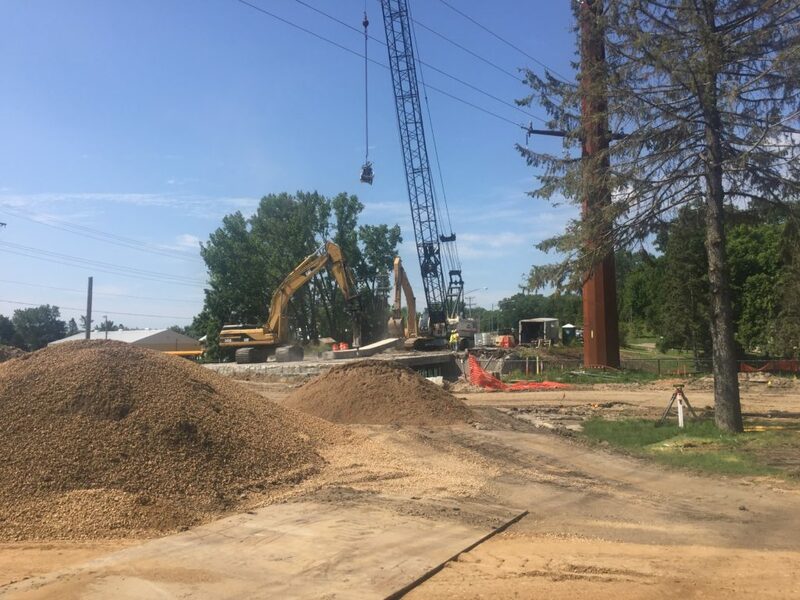 CSAH 61 from Pine Street to Highway 41 will reopen today! Please see the map below for full access info. 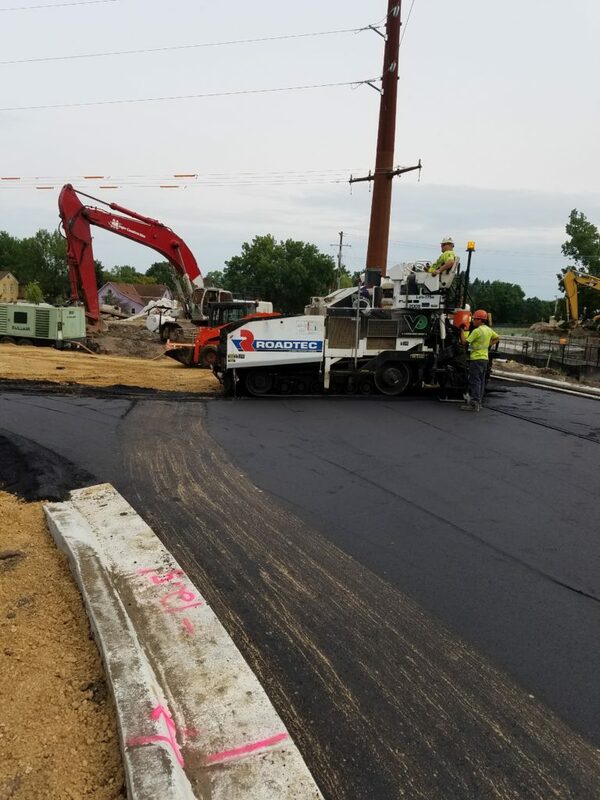 Paving of Creek Road, CSAH 61 from Highway 41 to Pine Street and west of the bridge is scheduled for early next week. 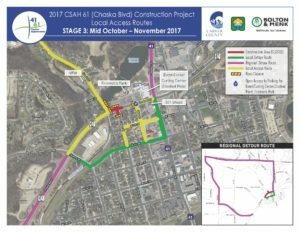 Traffic control is tentatively scheduled to switch over to Phase 3 on Tuesday, Oct 24. Work scheduled to occur from September 20 to September 29. Work scheduled to occur from September 11 to September 22. Work scheduled to occur from September 7 to September 15. Work scheduled to occur from August 28 to September 4. No work will take place on Labor Day, Monday, September 4. 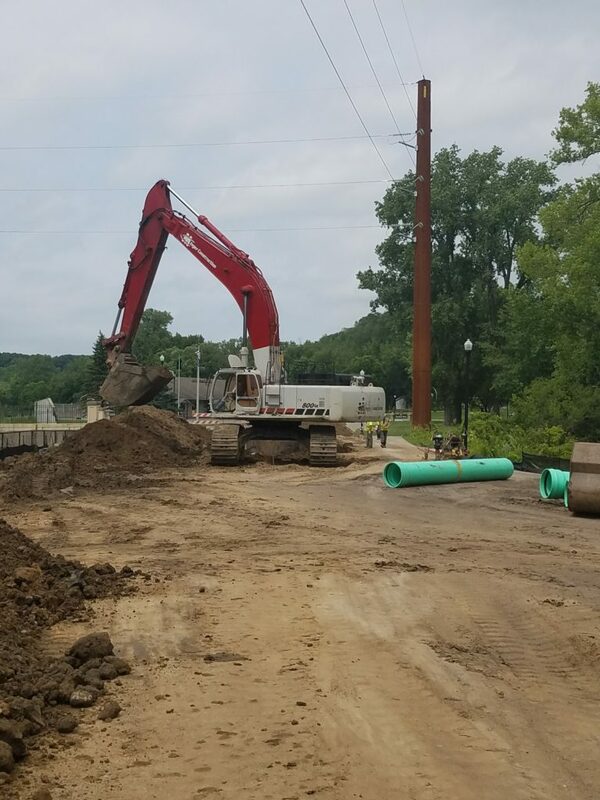 Utility crews will finish installing watermain casing late in the week under the creek channel, and sanitary sewer casing installation will begin. Work scheduled to occur from August 21 to August 28. 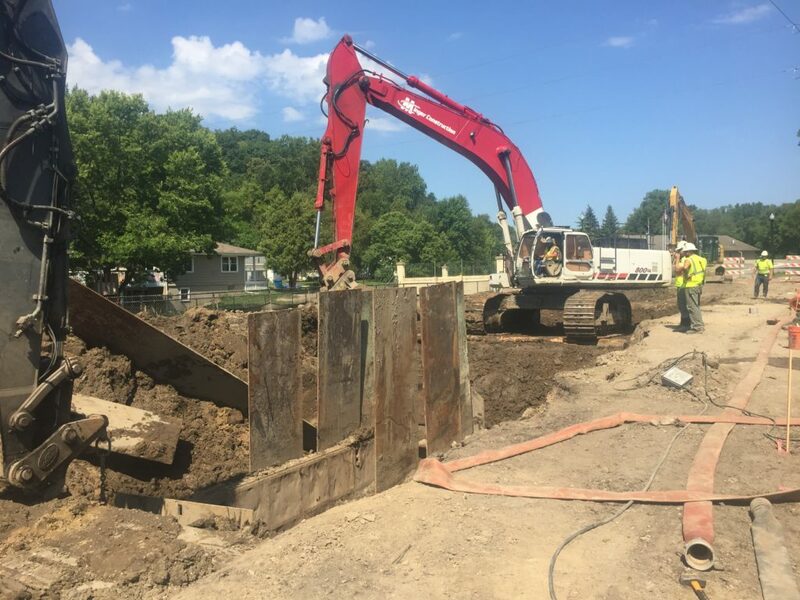 Utility crews will continue to work on installing watermain and sanitary casing under the creek channel. Check out the new Stage 2 access and detour map! 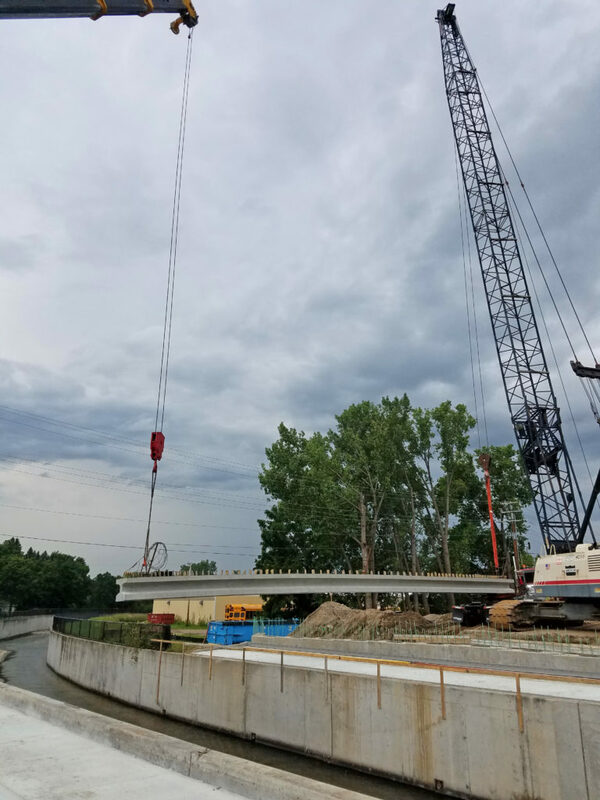 Crews have removed portions of the existing bridge in preparation of new bridge construction. Crews have removed a portion of the existing pavement in preparation for utility work. 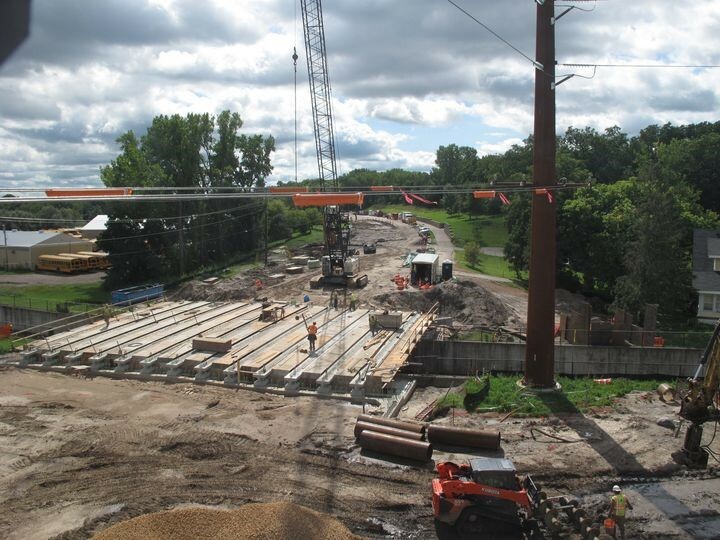 Chaska Utility crews have installed new overhead power poles to accommodate the new bridge construction. 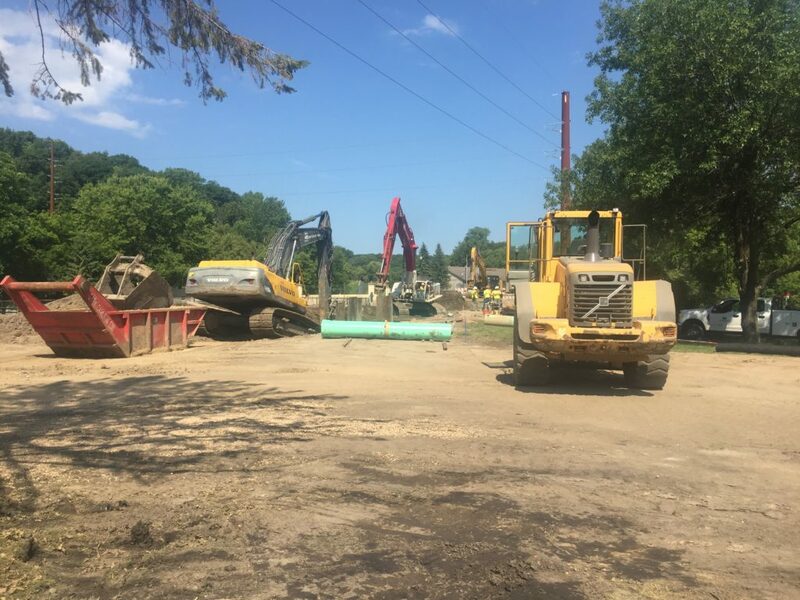 CenterPoint Energy crews are working to reroute gas lines within the project to accommodate the new roadway configuration. 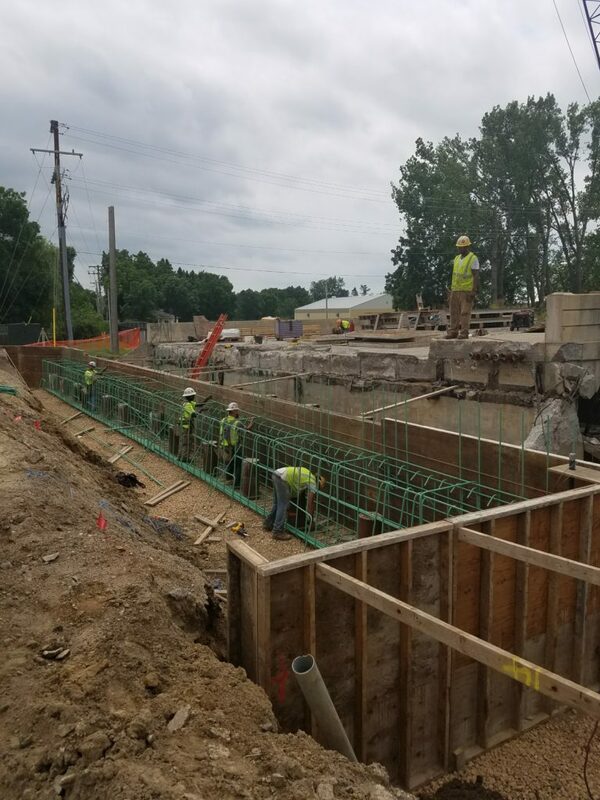 Bridge crews will continue to work on foundation and slope paving construction. 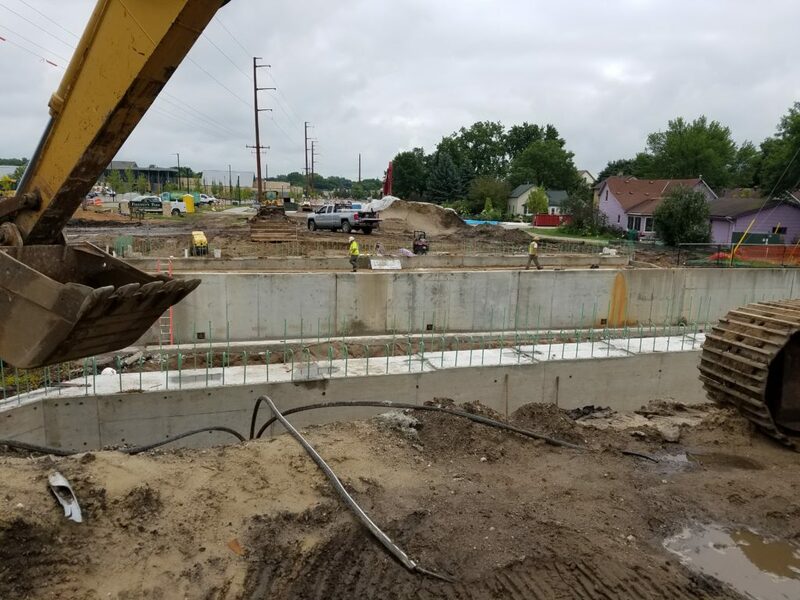 Utility crews will continue to work on installing the sanitary sewer and watermain casing under the creek channel. 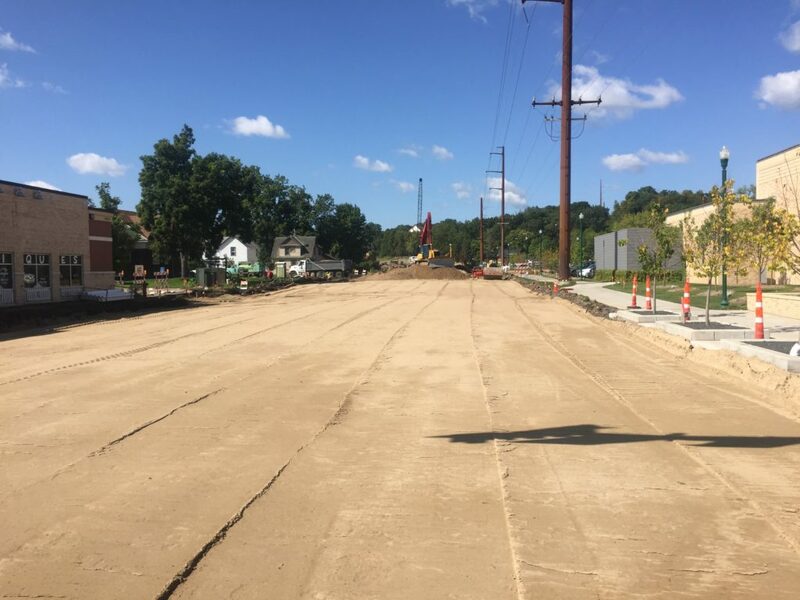 Road crews will pave Creek Road and the new parking lot access road Wednesday. Stage 2 will begin this week. Please refer to the documents section for a detour map. 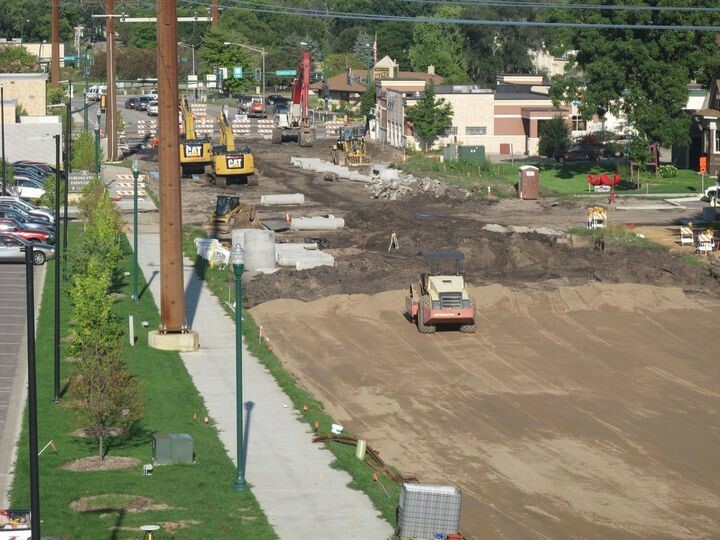 The Phase 2 area will be milled next week, and traffic control will change. 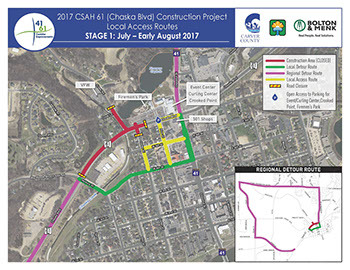 Stage 2 will begin late next week. Please refer to the documents section for a detour map. We have a new Facebook page! 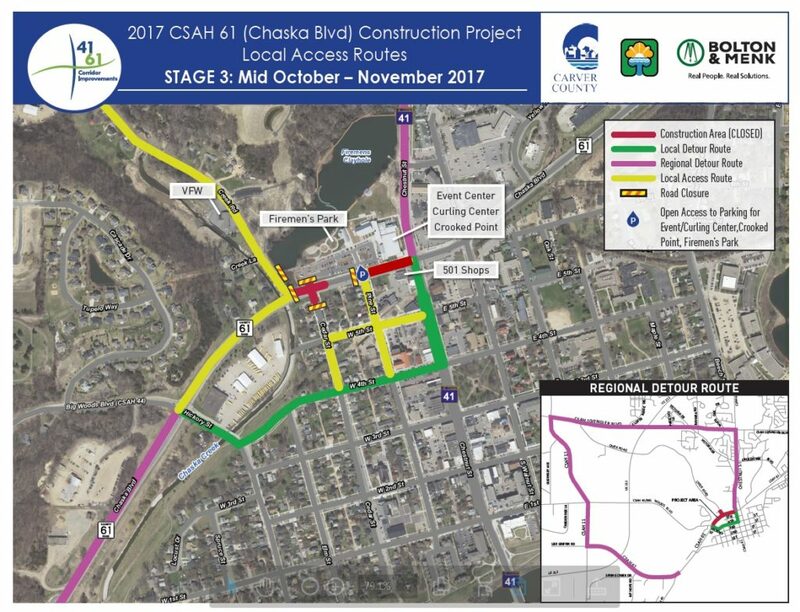 Go follow “CSAH 61 Improvements” for updates and project info! Stage 1 road closure and detour is now up and in place. All traffic must use the regional or local detour routes. Please note that access to the VFW is open from Engler Blvd and Creek Road and access to Firemen’s park is open at Pine Street. 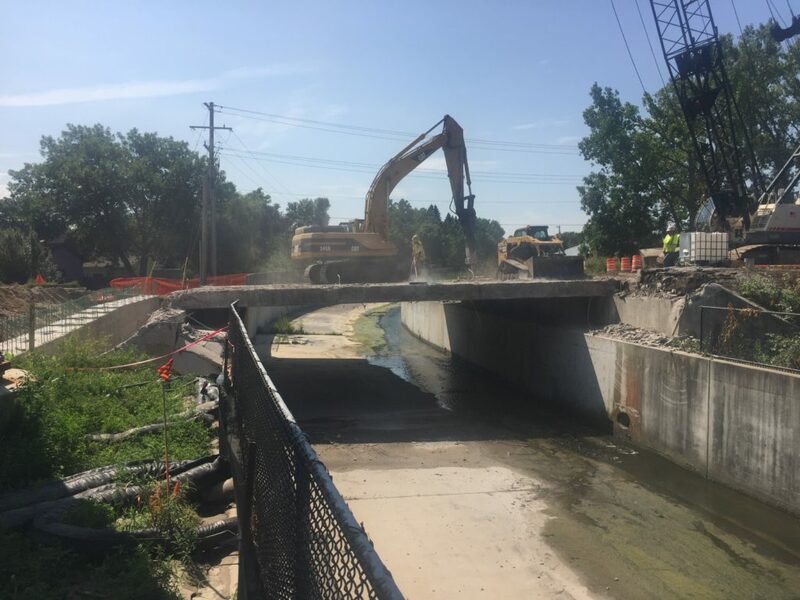 Bridge crews will be constructing the east foundation and preparing to remove the remainder of the existing bridge. 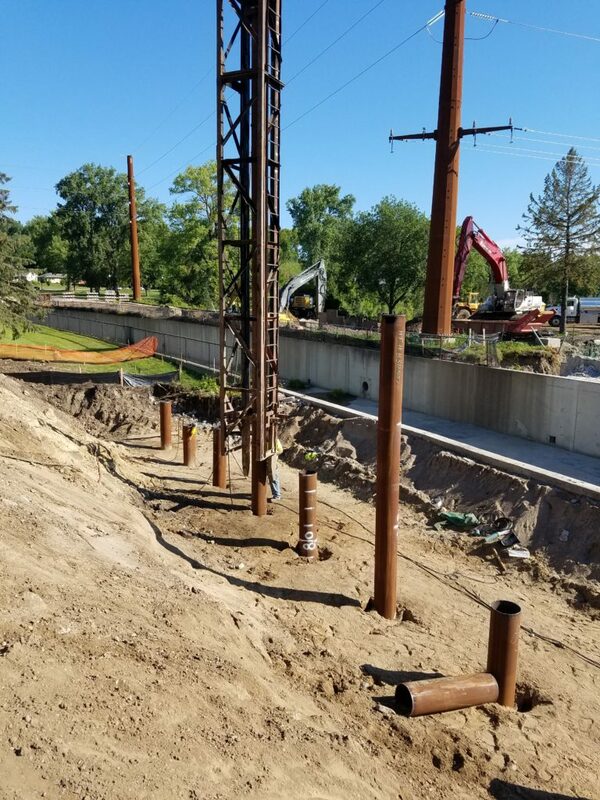 Bridge crews will be constructing the east foundation, including driving steel piling. Please note that construction crews will open up the west end of the parking lot to provide additional parking over the weekend for the Fire and Ice event. Stage 1 road closure and detour is now up and in place. All traffic must use the regional or local detour routes. Please note that additional stop signs have been added at the Pine Street and 4th Street intersection to make this intersection an all way stop. 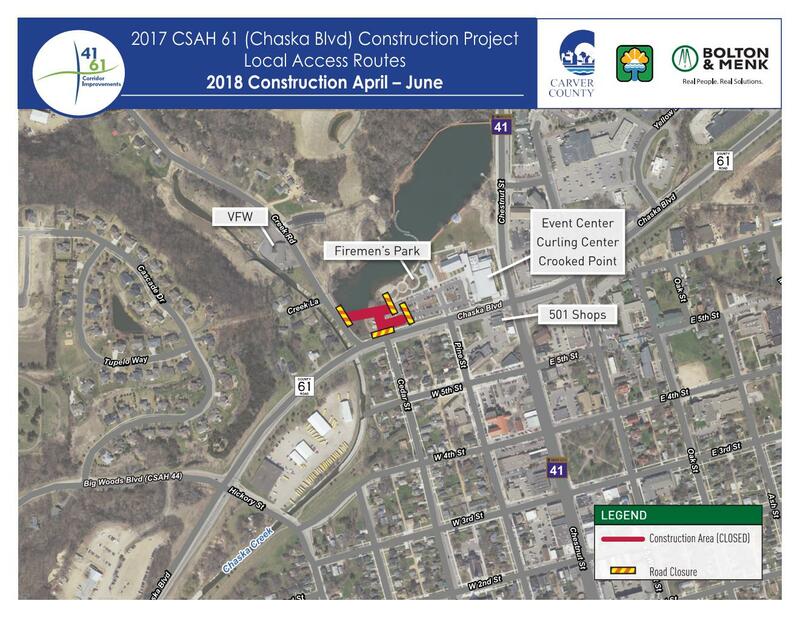 Access to Firemens Park will continue to be at the Pine Street intersection. 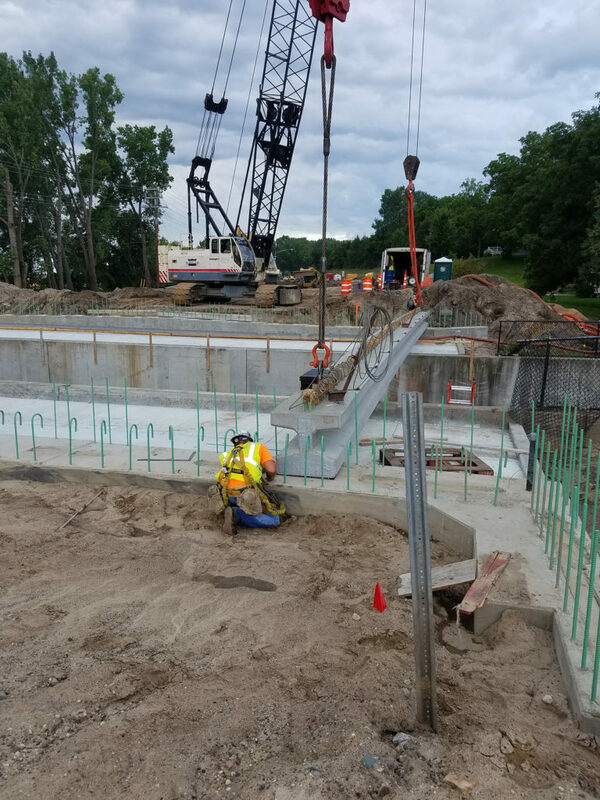 Pile driving operations are scheduled to commence on Monday (7/17). 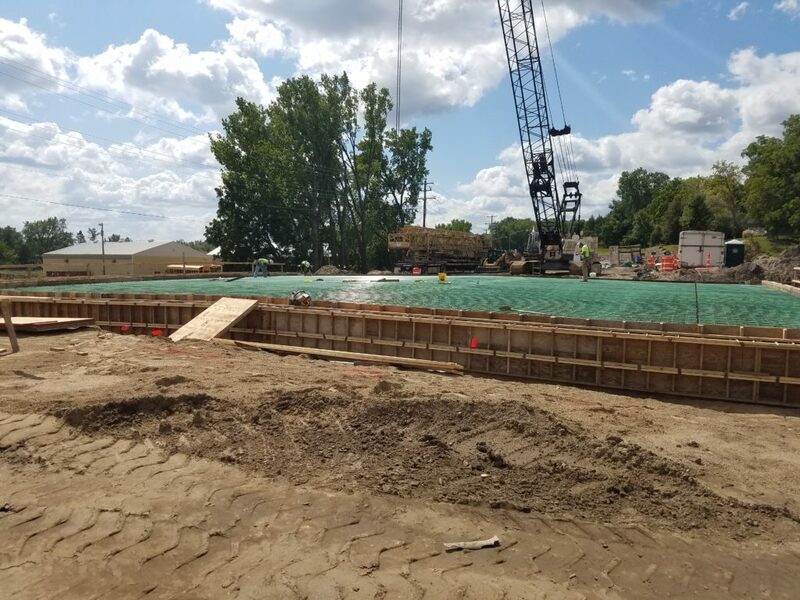 Please be aware that pile driving is a fairly loud operation that may cause an inconvenience to those who may be sensitive to noise. Crews will only be allowed to drive piles during normal business hours which are 7:00am to 7:00pm. CenterPoint Energy crews will continue to be on site relocating gas lines. 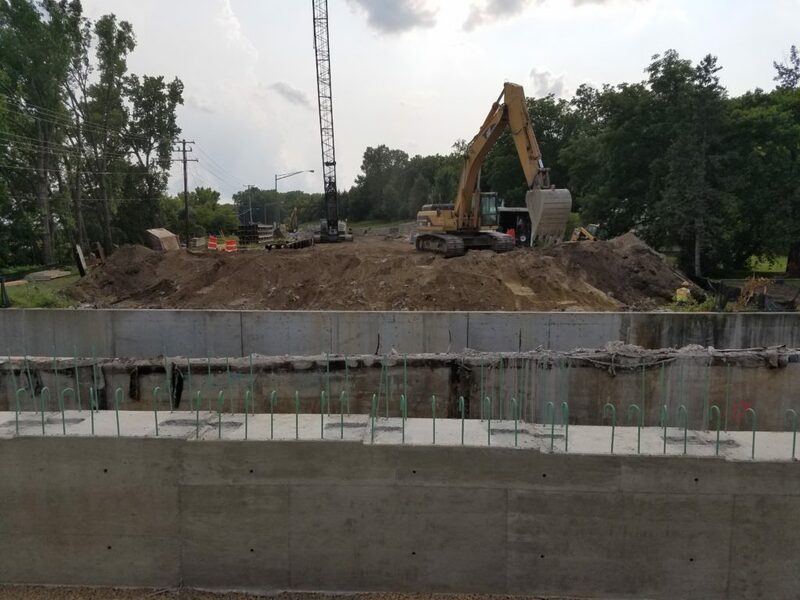 Crews will be removing existing guardrail, pavement, trees and other items that must be removed or relocated to accommodate the new roadway. 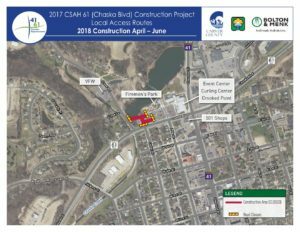 Crews will be preparing for utility construction along Creek Road. Stage 1 road closure and detour is now up and in place. All traffic must use the regional or local detour routes. Please slow down and use caution when traveling through the local detour route especially during the morning and evening commute. 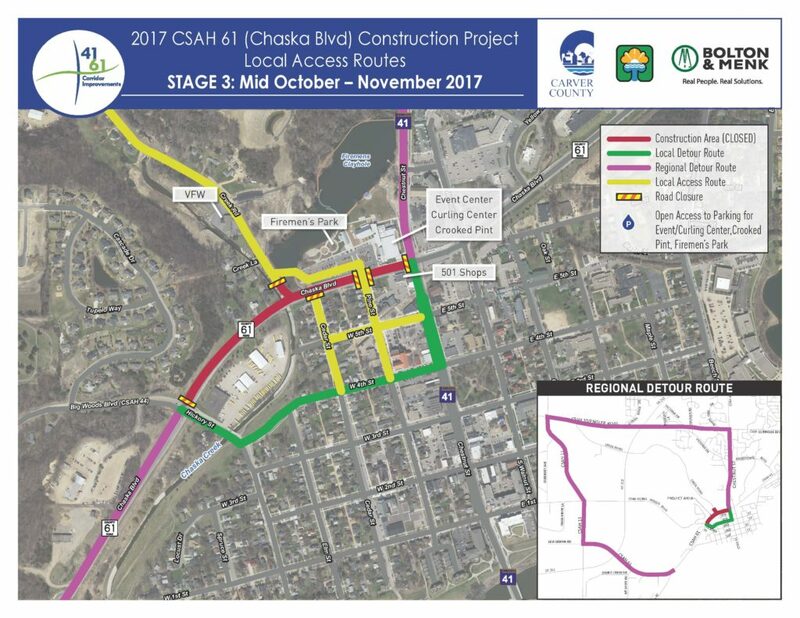 CSAH 61 / Chaska Blvd is open at this time from Pine Street to Chestnut Street for business and park access. The pedestrian crossing at Cedar Street is now closed. Pedestrian access / crossing is open at Pine Street and Chestnut Street. 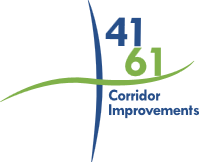 For the latest project information, follow our page on Facebook: CSAH 61 Bridge and Roadway Improvements.